Bangs Canyon, just outside Grand Junction. 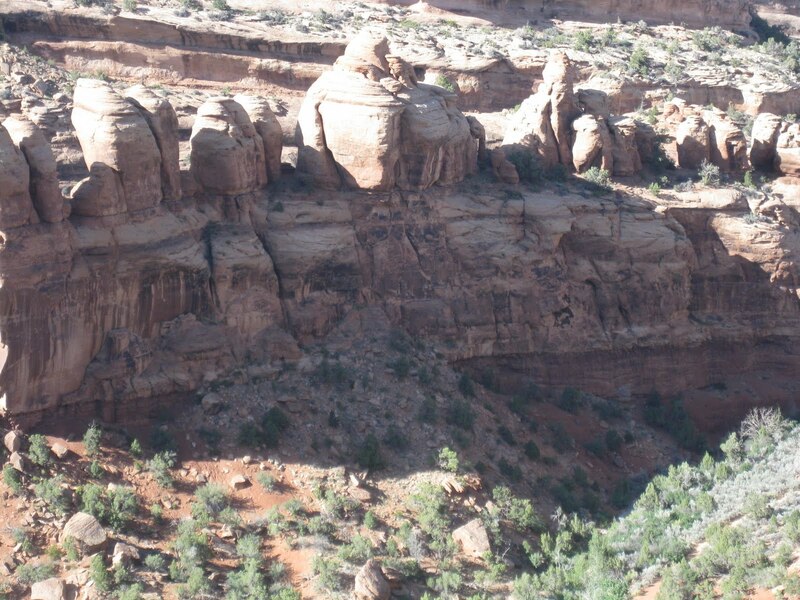 I have been hiking and climbing in the canyon establishing new crack climbs on the variable sandstone. There are a few problems left to be completed and then I will move on, but until then I will head out there after work and see what I can clean up into a nice sandy crack climbing experience. My first route ascends the middle of the highest tower, it is an 5.11+ slightly overhanging 4 and 5 inch corner called Flash Flood. What good fun!! This route can be approached from the Mica Mine trail and it is the biggest and highest obvious dihedral in the tower section on the right side of the trail before you reach the white quartz part of the trail. Approach from the base of that cliff line and hike up the ridge to the route. It will require a little bit of scrambling. Once you pass through a narrow slot (walking but take off your pack) you will be on a shelf, follow it to where it ends and traverse to the belay at the dihedral over what looks like a huge block. Gear for Flash Flood is 1 #3, 3 #4’s 2 #5’s. I did it with a little less and was pretty nervous. Enjoy! I just cleaned and put in anchors on this dihedral. It looks like a nice easy pitch to get the the half way point and then a little excitement out the overhanging off width dihedral. Bring the big gear and plan on getting scrappy! I went out Friday after work and thanks to Jane was able to have a belay for this one. It turns out to be an easy flake start, a little spicy due to some rock that you don’t think is solid but it actually is solid to the belay. 5.9. Then the upper pitch climbs this chimney/OW at 5.10-. I got sucked into its depths and had to come back out. There is a bit of newness to the route but it is a fun outing if you don’t want to clip bolts at the gneiss. I recommend a rack from .75 -5inch, 2 #3’s, 2 #4’s, and 2 #5’s. There are anchors at each belay and a 60m rope is plenty for both raps. Overall, its a 5.9 to a 5.10 and I called it High Water. Not the cleanest route but fun desert scrapping! 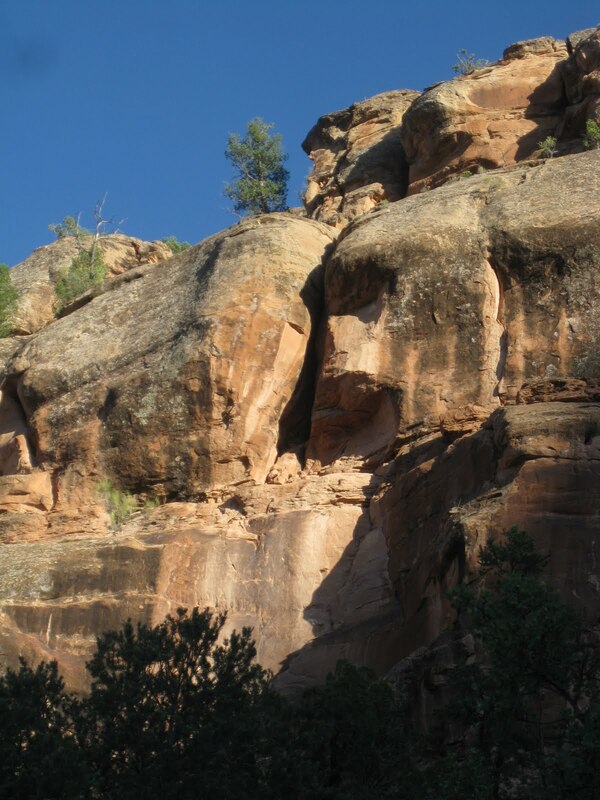 It is located just before the Mica on on the south side of the canyon. You can take the old dirt road up to it from where the mica mine trail turns white with quartz. You kind of look at the line the whole way up from the trail. I bargained this dresser from a local thrift store for 20 bucks! What a great anniversary present for Jane. 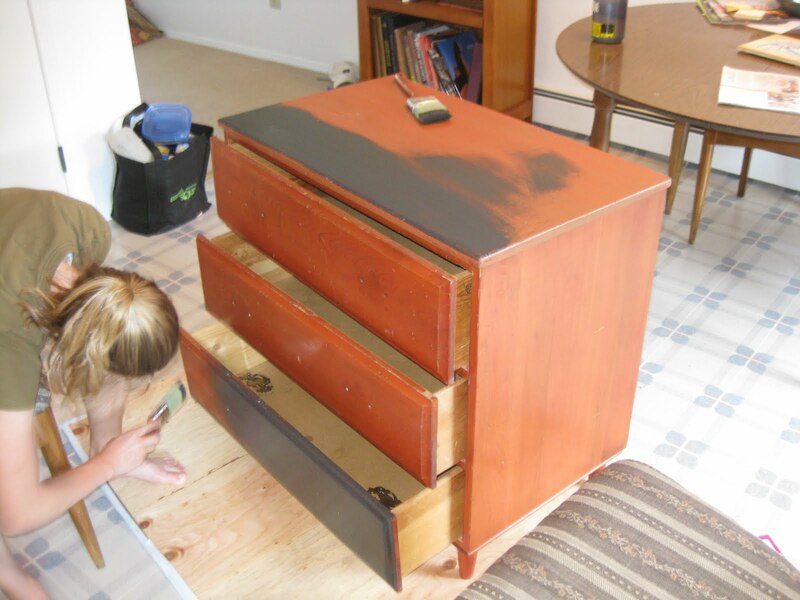 Here we are painting it black so the undercoat looks dark when we put a light coat of teal over the top! Painting with your wife is a great rest day activity. 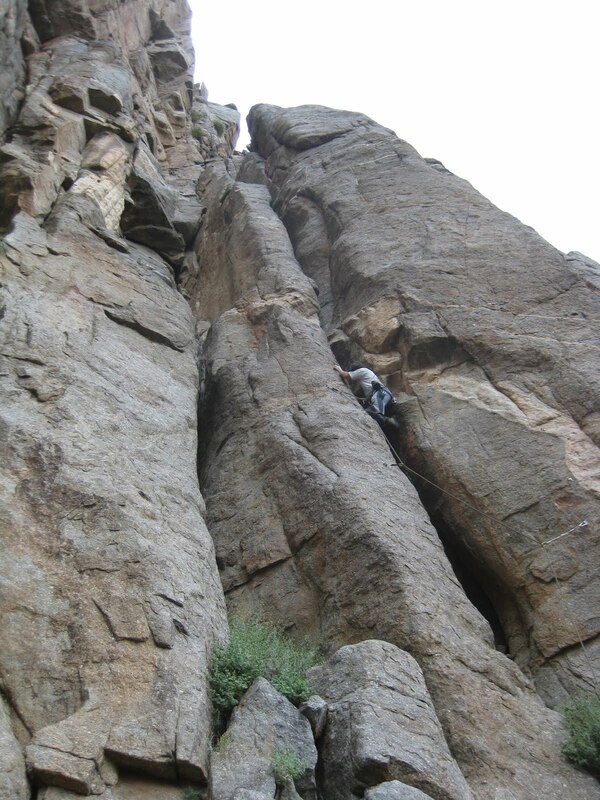 Climbing with Pike at Unaweep Canyon. The granite walls are similar to the Black Canyon and there is a ton of new routing to be done. I will slowly get to this stuff and have fun combing the cliff lines for new route potential! 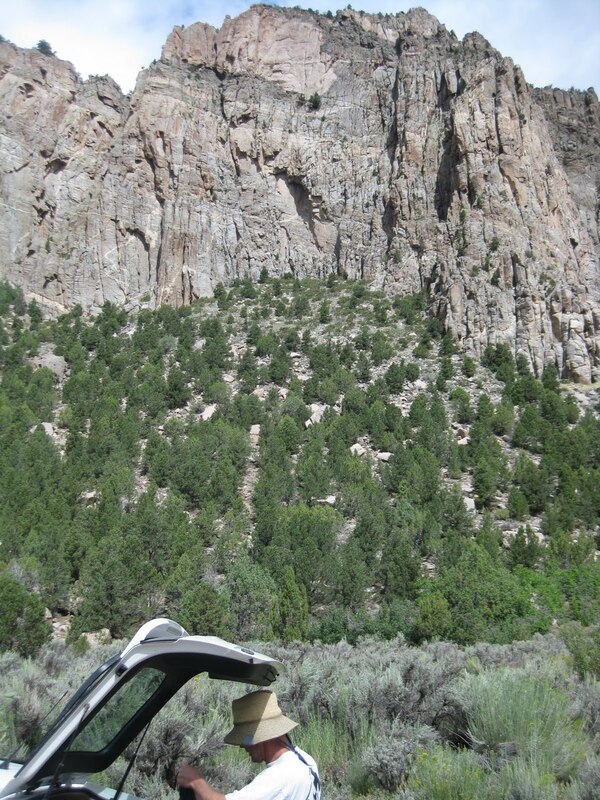 Parking at the Mothers Buttress in Unaweep Canyon. My first day here in many years. We battled out the passing storms and got some great pitches in before dark! Thanks Pike for the tour! Get out and climb and be safe!